Recent studies has shown that apps that run on Apple’s iOS crashes more than Google’s Android apps. 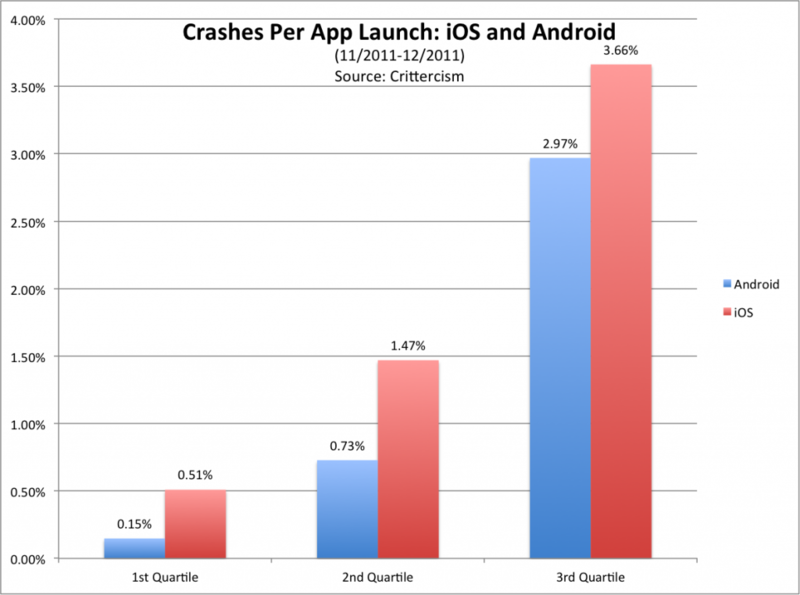 According to the studies iOS apps crashes more than 3 times as compared to Android apps. These are some of the results. For people thinking iOS is the best smartphone OS, this is an answer to them.